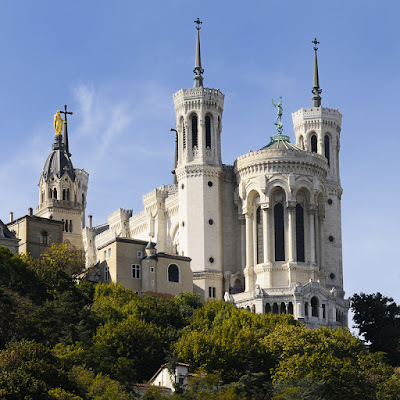 In the area called “Quartier des Brotteaux,” the success story of the gastronomy of Lyon continues. The chefs find their products at the Halles de Lyon. The meats come from Colette Sibilia, the go-to address for meats. These sausages, saucissons*, andouillettes* are found in some of the best restaurants of France and Navarre. At Pierre Bastin, poultry from “Bresse” is exquisite. There are so many good choices but if you are leaning towards the classics: cervelle de canut*, cabécou* and saint-marcellin*, it is at Alain Martinet that you will find them. 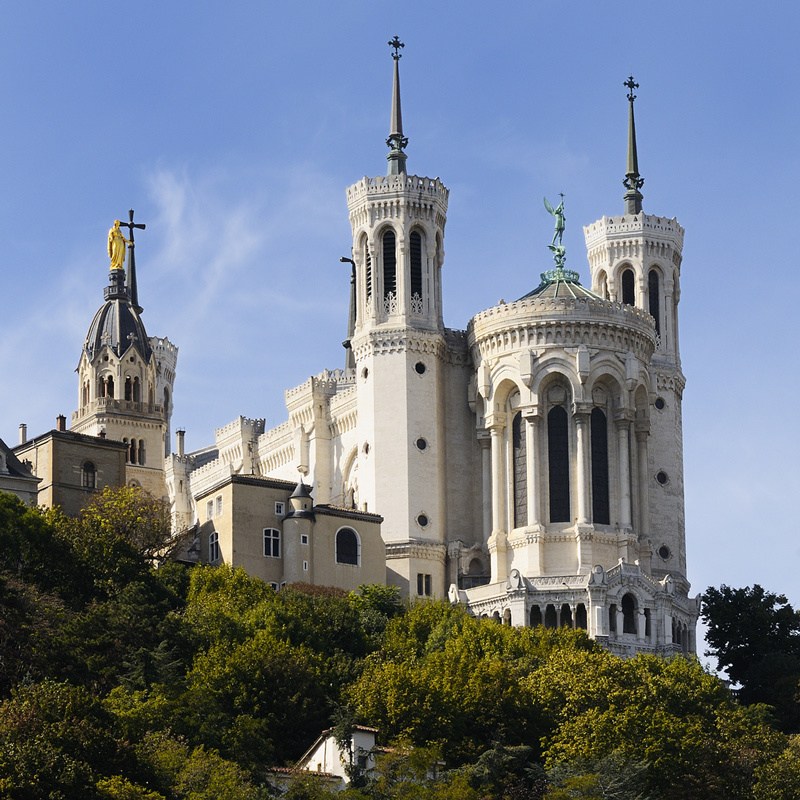 The tradition of the cuisine of Lyon is also the tradition of the mother of Lyon. During our escapade, we met some friends. 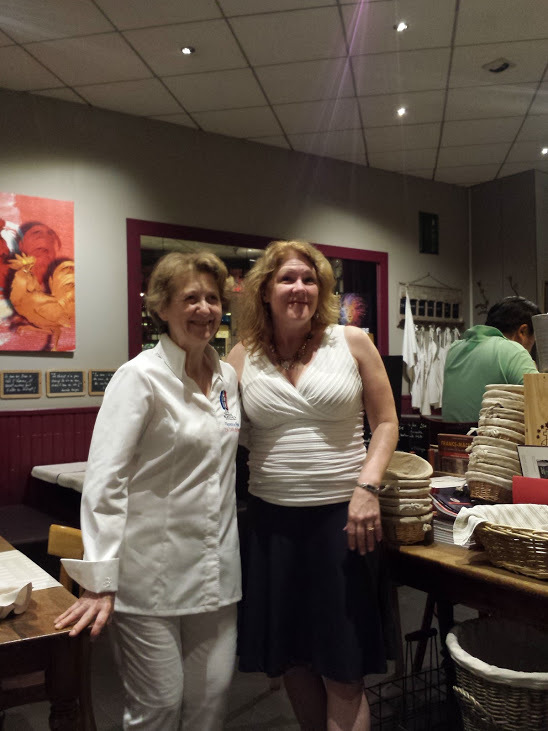 First is Florence Périer, who owns Café du Peintre. 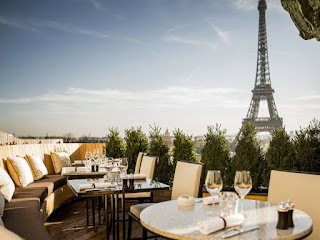 Her customers feast on andouillette with toasted brioche with mustard sauce, compote of cheeks of beef with vegetables or quenelle* with lobster sauce. We chose a terrine of chicken with tarragon and tomato confit, accompanied by a glass of white Beaujolais. Then there is Max Périer, the son of Florence, who mans the bar and gives advice on wines. His recommendations were perfect. Florence gave us a tour of the pantry. All the products are cooked in season: jars of tomatoes and candied garlic, tomato sauces, jams, cherries of Ardèche... We understand why this restaurant is always full. When this escapade ended, we gave thanks for the warm welcome (and delicious food!) from our friends. Andouillette is a coarse-grained sausage made with pork (or occasionally veal), intestines or chitterlings, pepper, wine, onions, and seasonings. Tripe, which is the stomach lining of a cow, is sometimes an ingredient in the filler of an andouillette, but it is not the casing or the key to its manufacture. Cervelle de Canut. The dish is a base of fromage blanc, seasoned with chopped herbs, shallots, salt, pepper, olive oil and vinegar. Its name literally means "silk worker's brain", after the canuts, the silk workers of 19th century Lyon. 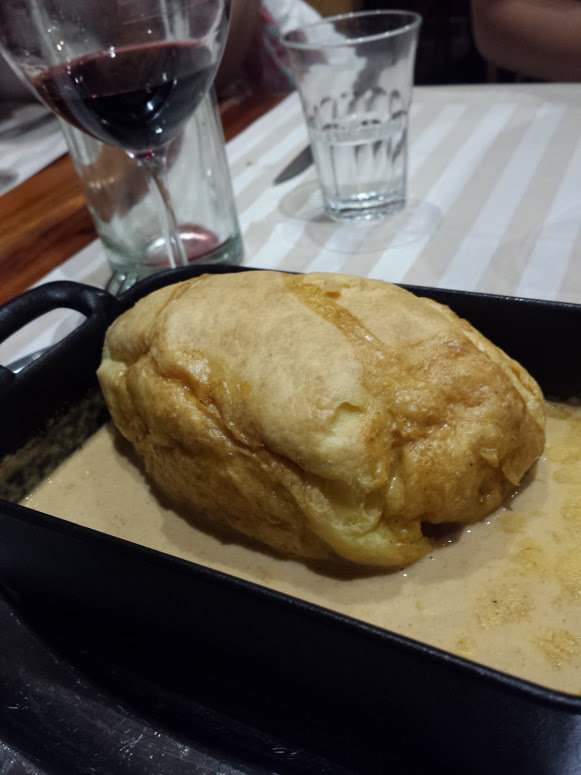 Quenelle is a mixture of creamed fish, or meat, sometimes combined with breadcrumbs, with a light egg binding. It is usually poached. Formerly, quenelles were often used as a garnish in haute cuisine.